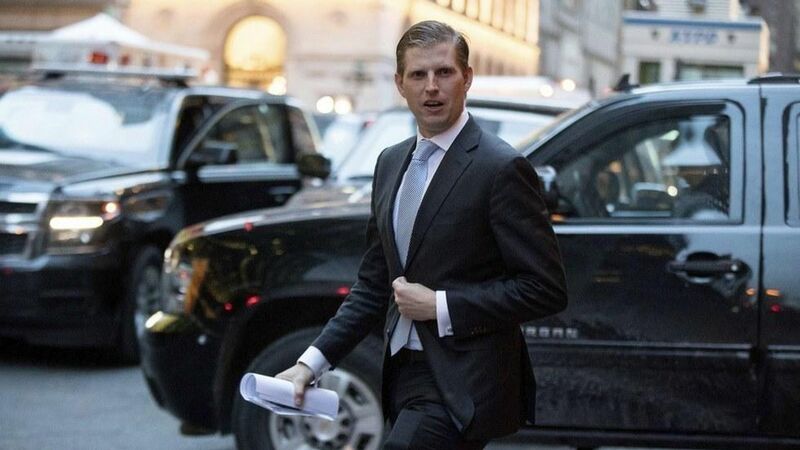 Eric Trump: "nepotism is kind of a factor of life"
Forbes sat down with Eric Trump, who called nepotism "kind of a factor of life" and spoke about the Trump siblings' relationship with their father, especially as it applies to their role in the family business. "We might be here because of nepotism, but we're not still here because of nepotism. You know, if we didn't do a good job, if we weren't competent, believe me, we wouldn't be in this spot." "He's a guy, no matter where it is, he expects people to perform. And if they're not performing, he kind of encourages them to go on their way. You know the one thing, Don, Ivanka and I never let him down really in any factor of life. And I think it's one of the reasons that we're as innately close as we are." "I don't know if he could have done the presidential thing four years ago. Certainly eight years ago, he couldn't have. I think we probably would have been too big of question marks for him. I think in so many of the deals that we've done…hopefully we earned our stripes. And I think that's ultimately why we're in the seat we're in."